"A free trial of a suite of solitaire card games." 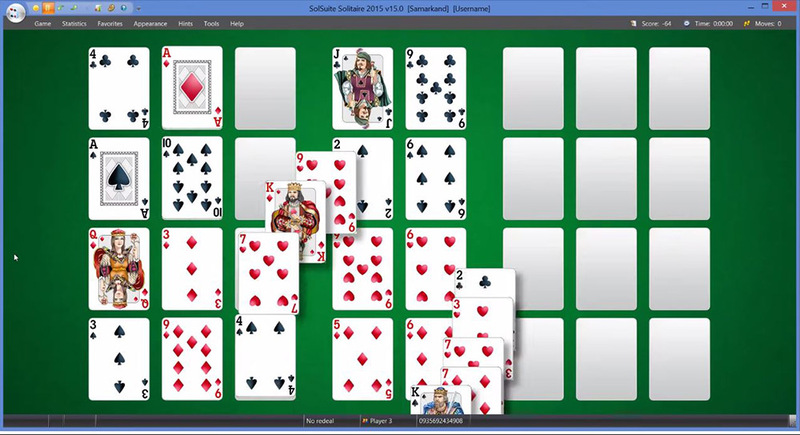 In this new version of SolSuite Solitaire 2015, there are new available game types of solitaire for you to try. To boost the fun of the game, you get to play different types and styles of the card game to burn more of your time. Not just that, but there are now new themes to choose from in the game that will continue to keep the game feeling like new while you play it. Play it by yourself against the computer or with your friends, how ever you choose to play the game - you can do it in this high quality suite of solitaire card games. This game is especially fun for those solitaire addicts that need to get their fix, but are tired of the basic, plain old Windows version of the game that can get boring after a while. Give this SolSuite Solitaire 2015 free trail a run for its money when you download it from here. With new, updated graphics and two new solitaire games to choose from while you play the game, you will practically never get bored while playing solitaire ever again! The game even features interesting and pleasing to the ear sound effects while you play the game and move the cards. So, sit back and relax, listen to your favorite tune, and play some solitaire ... or your favorite version of solitaire. This is definitely something you can not do with the native Windows solitaire game that comes with the operating system. You can only get it while you play SolSuite Solitaire 2015. You can get all of those to try out in this SolSuite Solitaire 2015 free download right here by clicking on the download link above this review!